I walked into a trap this afternoon. After weeks of assisting a vulnerable new friend to find an alternative for her young daughter’s medical needs, I was accused of excessive coercion. The ASL professionals overseeing the present care were cutthroat! I exited the meeting shaking with disgust that these three women stooped so low, presuming themselves to be worthy guests in the humble trailer-home of my friend and her family, while really exerting enormous pressure on parents unable to defend themselves. These prideful women won the battle, but I pray they don’t win the war! Political strategists use similar tactics as the cutthroat Public School audiologist and her hench-women at West Oakview Elementary School in Grand Rapids, Michigan. Lying, cheating, and stealing are the basic tools of an immoral person or organization. Those they damage or cripple for life are of little concern to them. Their aim is to control the weak, while elevating themselves. Sometimes wars are won by those who previously lost in battle. 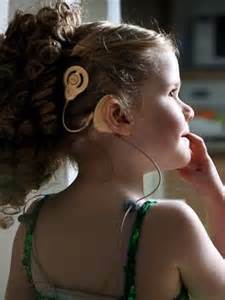 In every area of life, whether it’s politics or trying to help a young cochlear implant child get the help needed to learn to hear and speak, battles must be fought. In the end those who persevere will win. Stay in the fight, stand for justice, and never stop working for the vulnerable. They cannot always fight for themselves. This entry was posted in Uncategorized and tagged American Sign Language, ASL, cochlear implants, dirty tactics, lip reading, losing the battle but winning the war, politics. Bookmark the permalink.